We went to visit my mom and step-dad the other week to spend some time at the beach to get away. 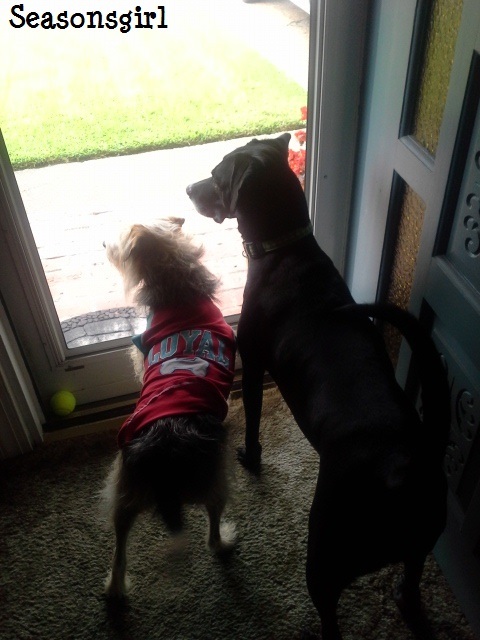 Baxter and Chase love going to the beach to play and they love moms house because they love her front door. 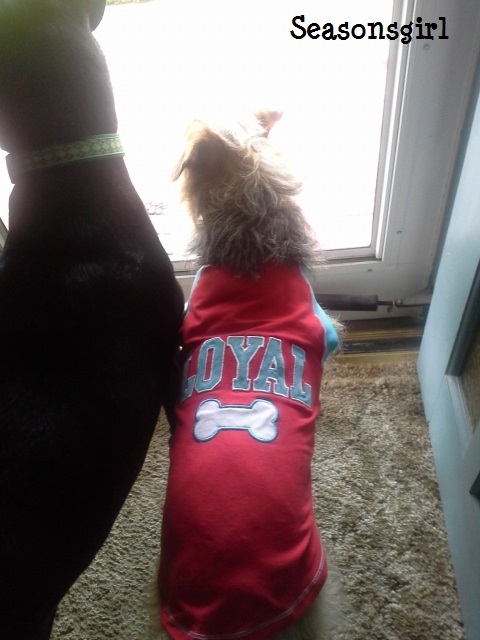 They can sit or lay at her front door and watch all the people go by. At our house it isn’t as busy and we usually don’t have our front door open this time of year due to the stink bugs that inhabit it. While we were down there my mom “grandma” bought Chase a new shirt.